OLYMPIA — Attorney General Bob Ferguson today announced that the U.S. Department of Energy will conduct testing and, if successful, begin implementing a new system to treat or capture hazardous tank vapors at the Hanford Nuclear Reservation within the next three years, under the terms of an agreement submitted to a federal court today. This agreement places Ferguson’s lawsuit on hold while the testing takes place. However, Ferguson may resume his lawsuit if Energy fails to meet the terms of the agreement. This marks the first time in the history of the Hanford Nuclear Reservation that Energy will destroy or capture tank vapors at their source, thereby eliminating the hazard to workers. In 2015, Attorney General Ferguson filed a lawsuit against the Department of Energy after 20 years of workers getting sick from vapor exposures despite multiple studies and reports, but little action from the federal government. Energy previously attempted to have the lawsuit dismissed by alleging that not enough workers were getting sick for the state to file a lawsuit. The court rejected that attempt in November 2016. After more than two years, the case has resulted in an agreement between the parties. In exchange for the Attorney General’s Office agreeing to suspend its case, the federal government has entered into a legally binding agreement to complete multiple rounds of testing on a system that will destroy or capture tank vapors before they can harm workers. If testing is successful, Energy must implement the successful technology. Energy has roughly three years to complete this process. “Under this Agreement, the cycle of exposure and illness due to unprotected chemical vapor exposures is finally being addressed and, hopefully, resolved. The parties have agreed to an enforceable settlement that requires specific actions to solve the vapor exposure issue at Hanford throughout the rest of the cleanup,” said Hanford Challenge Executive Director Tom Carpenter. Hanford Challenge and UA Local 598 filed a similar lawsuit, which was later consolidated with Ferguson’s. That case is also paused by today’s agreement. At least 19 reports have been issued on tank vapors and exposures since the 1980s. A 2014 study commissioned by Energy warned that not enough was being done to protect workers from harm. Some 1,500 different volatile chemical gases — many of which are highly toxic and known carcinogens — have been found in Hanford’s tanks. Exposure to these chemicals causes numerous harmful health impacts including lung disease, central nervous system suppression, nerve damage and cancers of the liver, lung, blood and other organs. Six months after Ferguson filed his lawsuit on worker safety, more than 50 workers were exposed to toxic vapors at Hanford in April and May 2016. Ferguson, along with Hanford Challenge and UA Local 598, sought a preliminary injunction asking the court to immediately order Energy to implement enhanced safety and vapor monitoring measures. Immediately after the Attorney General filed for a preliminary injunction, the federal government finally implemented safety measures, including placing all workers on supplied air in the tank farms. Supplied air is similar to a scuba mask and air tank. Workers also may use cartridge respirators, essentially air filters on a face mask, for some limited, non-invasive tank farm work. Energy also filed a motion to dismiss the worker safety case. A federal judge rejected Energy’s motion in November 2016. Early testing shows a treatment system created by NUCON International specifically for Hanford’s tanks is capable of capturing or destroying up to 99 percent of the hazardous substances vented from the tanks. Energy will also test a system called Strobic Air, which would use a jet turbine to send vapors high into the air. The legally binding agreement requires Energy to complete testing of the NUCON system and, if successful, move toward implementation. Because of the real-world constraints inherent in working with high-level nuclear waste, testing and implementation of the treatment system will occur in phases. While this testing occurs, the agreement guarantees that workers will be on supplied air or other respiratory protection in the tank farms. Under the agreement, Energy must test the NUCON technology using simulated tank waste and conditions similar to those found in the tanks by the end of the year. If this phase confirms the NUCON system will protect workers from tank vapors, Energy will complete testing with actual tank waste. If the technology again proves successful, Energy must implement the system in one of the tank farms. Following testing, the parties also will enter negotiations on whether to move forward with a treatment system across all tank farms and the timeframe for doing so. If these negotiations fail, if Energy does not meet its obligations or if additional threats to worker safety arise, the agreement allows Ferguson to resume his case in federal court. Of the $925,000 in costs and fees, 55 percent will go to the state, and Hanford Challenge and UA Local 598 will share the remaining 45 percent. By law, the Attorney General cannot seek restitution on behalf of individual workers who have suffered life-altering illness or injury due to vapor exposure. 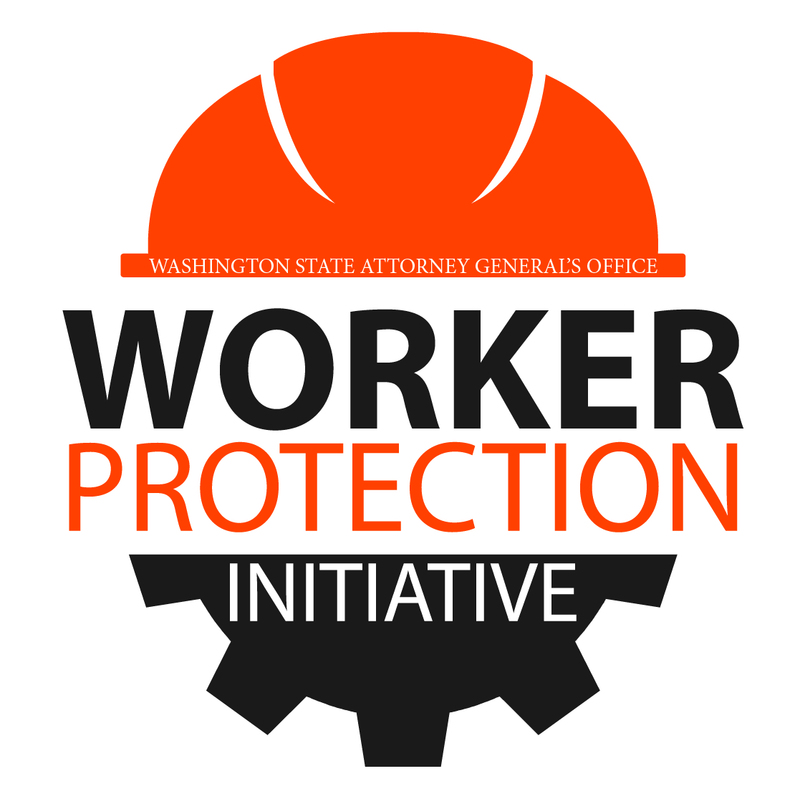 The Attorney General’s Office testified in support of a law passed in 2018 that makes it easier for workers to access benefits when they become ill from an exposure at work. Because Hanford workers will continue to use supplied air during waste-disturbing work on the tank farms while the new system is tested, Washington will allow the modification of some cleanup benchmarks established in Ecology’s lawsuit over Hanford’s cleanup led by Ferguson. The proposed modification, which still requires court approval, would give Energy a six-month extension (from Dec. 31, 2020 to June 30, 2021) to complete retrieval of five of the last 12 tanks under the decree and a 2 ½ year extension (from March 31, 2024 to Aug. 31, 2026) to complete all tanks covered by the decree. The consent decree prioritizes a total of 19 of the 177 tanks, several of which Energy has completed. The vapors lawsuit settlement will become effective with court approval of both the consent decree modification and the request to stay the vapors litigation. While not guaranteed, the court approvals are anticipated. This litigation against the federal government began while Barack Obama was president. On June 20, 2014, in response to increasing reports of workers falling ill after chemical vapors escaped from the tanks, Ferguson and Gov. Jay Inslee wrote to the U.S. Secretary of Energy urging an independent safety assessment of workers exposed to the vapors and toxic fumes emitted from the Hanford tanks. The 2014 report was the latest in a series of studies over the last 20 years assessing the problem of Washington workers falling sick after exposure to toxic gases emitted from the waste holding tanks. Since 1987, hundreds of workers have gotten sick after vapor exposure, experiencing nosebleeds, headaches, watery eyes, burning skin, increased heart rate, difficulty breathing, dizziness and nausea. Some workers have suffered long-term disabilities, including the permanent loss of lung capacity.